I’ve always loved celebrating my dogs birthday and buying loads of presents. That’s why when I saw the new trend going around on the internet throwing my dog the best party, I knew I had to make her one, to celebrate her upcoming 3rd birthday. It was on Sunday, and I know it looks like a lot but I only spent around £5.50 on her this time. The rests all made by hand for free. 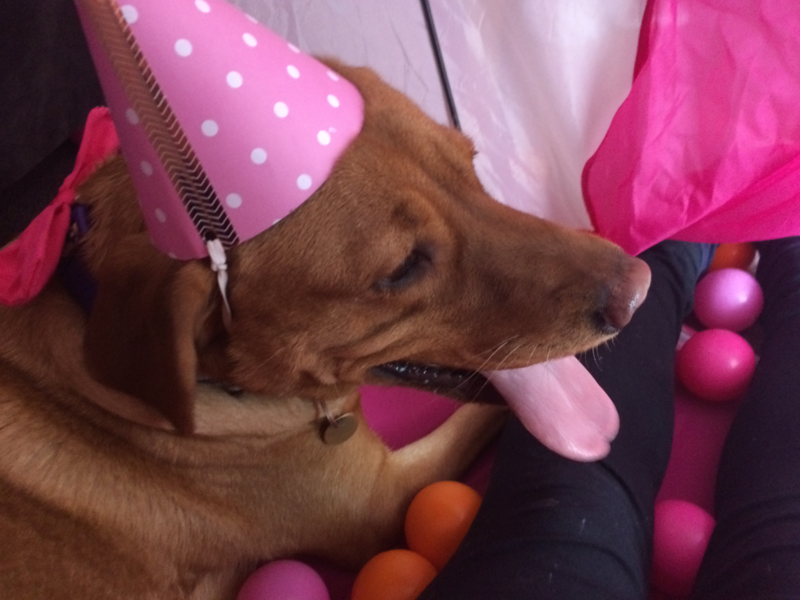 So it proves that it doesn’t cost that much, really to throw your dog an epic party, as long as you have the materials laying around the house-which most parents do all the money I spent was on her present. And I’d suppose on party bags if I had doggy quests. But I didn’t as the party would have to be held outside, and the weather was miserable on Sunday. 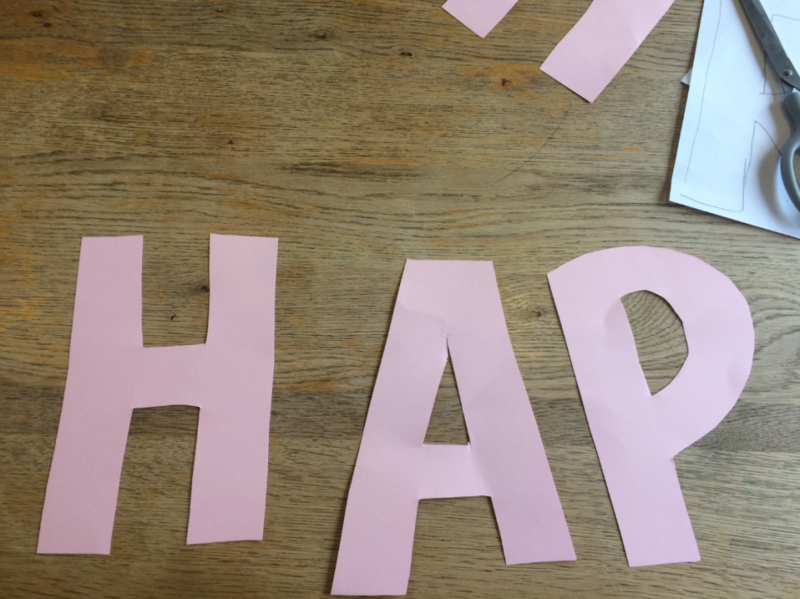 I wanted to start by making her a reusable birthday banner by cutting letters out of pink card and stringing them up together. 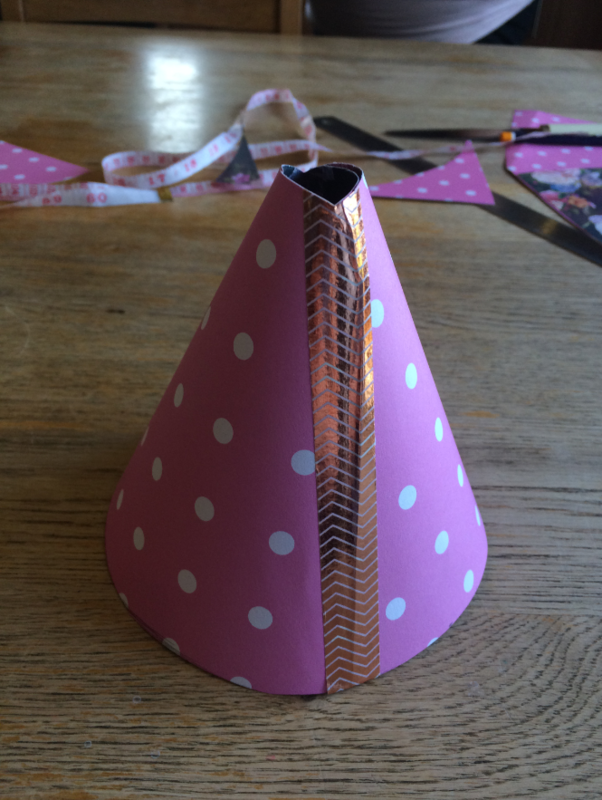 I then decided to move on to making the party hat. 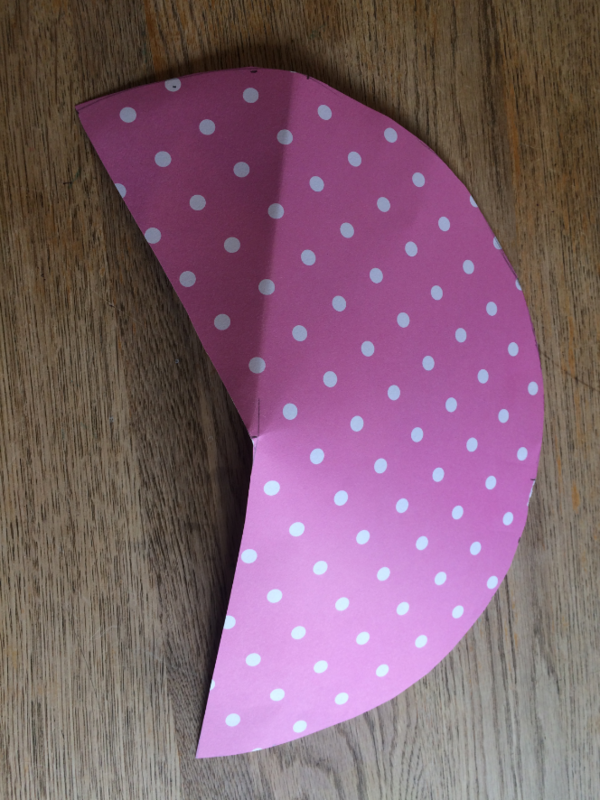 First cut out the template and cut your hat out of a piece of coloured card. Next sellotape the hat together along the dotted line. You can use washi tape to make it look better. 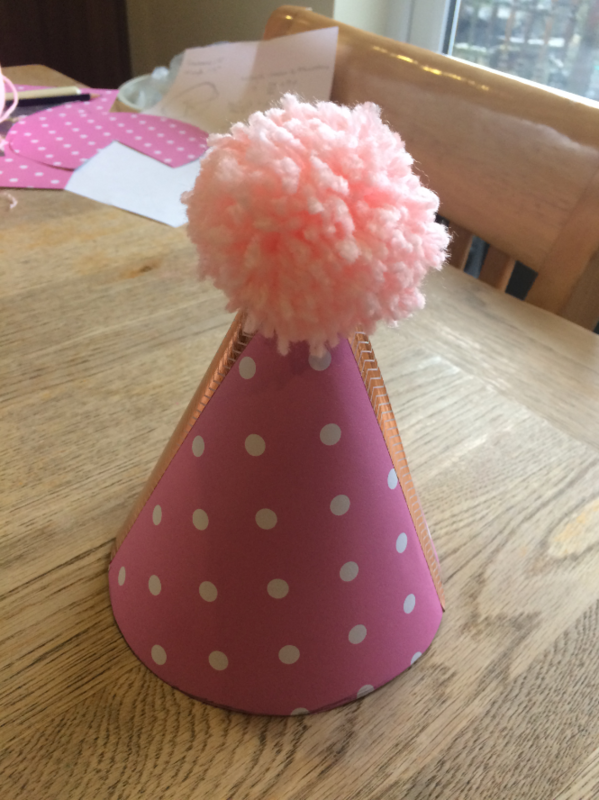 Cut the top of your conebefore hot glue guning a pompom on top. 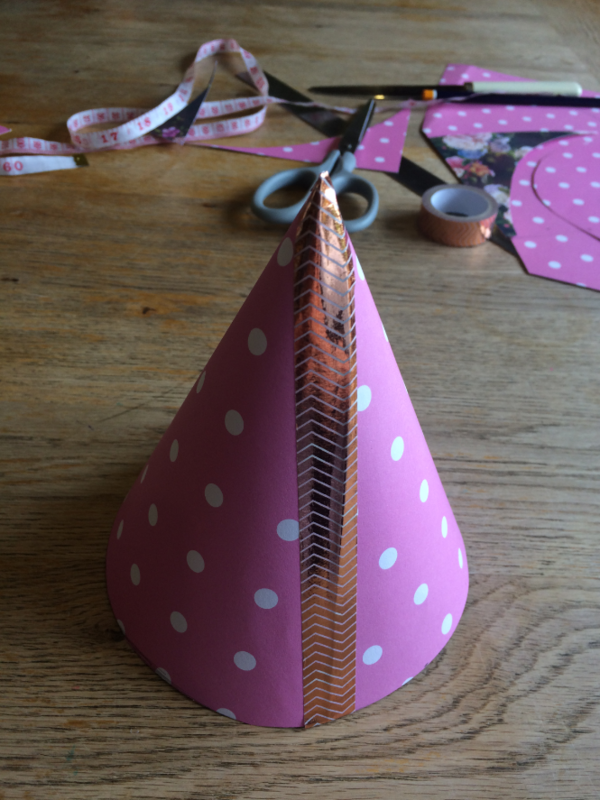 Take your hole puncher and punch in two holes one on either side of the hat. And attach a piece of elastic. 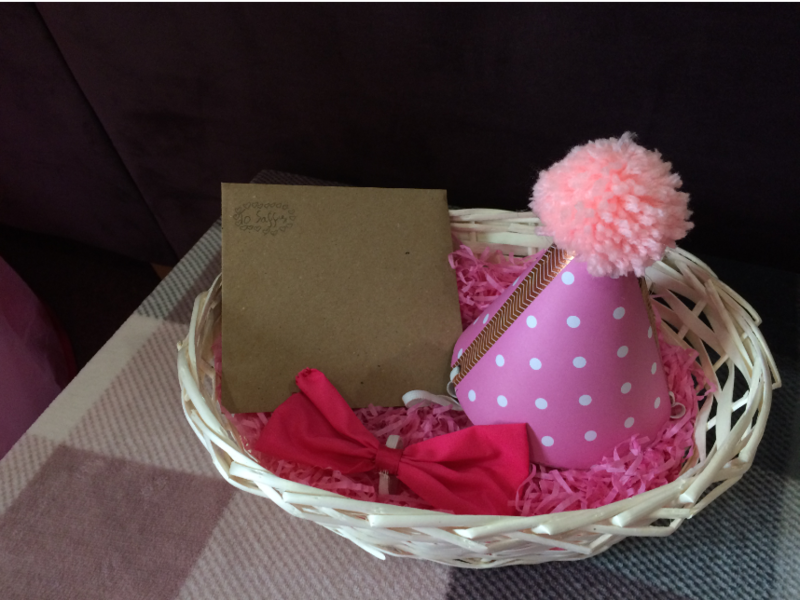 And finally, make your self a pom pom and hot glue it on top of the hat. That’s it!! I kinda, just know how to make gathered bows of the top of my head without putting too much thought into it. I just sew a square and then gather it down the middle, but I think I first learnt how to of treasurie.com. So if you want to make fabric bow yourself I’d recommend checking out this site. The only difference with mine is that I used a ribbon instead of sewing a fabric strip to hide the gather in the middle as well as sewing on an elastic loop on the back so that I could slide it onto my dog’s collar. 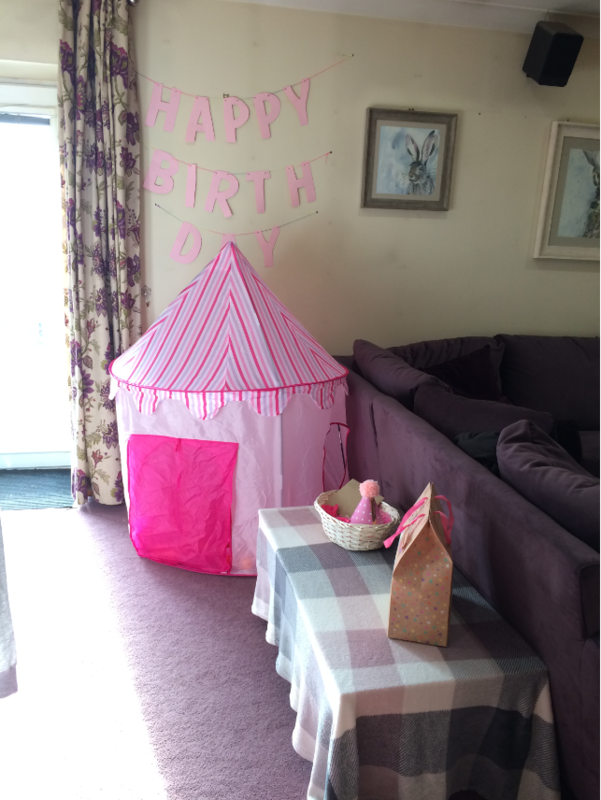 And finally, all that was left to do was get the princess tent out and fill it up with coloured balls and leave my presents for her out on the coffee table. 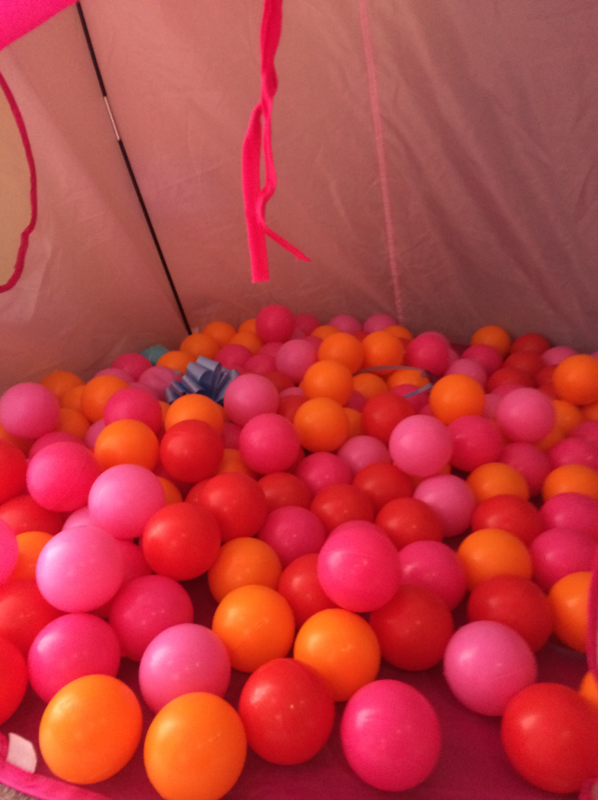 My sister’s present was hidden inside the tent amongst all the balls. So with that there you have it, your party is now ready to be celebrated with your favorite pooch.